It's been rain, rain and more rain during this trip to the UK, and all indications suggest more of the same for the rest of the year. Indeed, the meteorological folk have just announced that 2012 is officially England's wettest year on record (after drought conditions through the first couple of months, no less). If you know anything about British weather, then you know that for this to be the wettest year on record means that it is indeed quite wet. Needless to say, the running has been a rather soggy and sloppy affair. I've given up on Blean Woods, my staple soft-surface venue while in Canterbury, as the going has been terrible and have largely resorted to the roads when not racing. But luckily there's been plenty of racing to be had over the Xmas period, including one of my favorite events of the year. 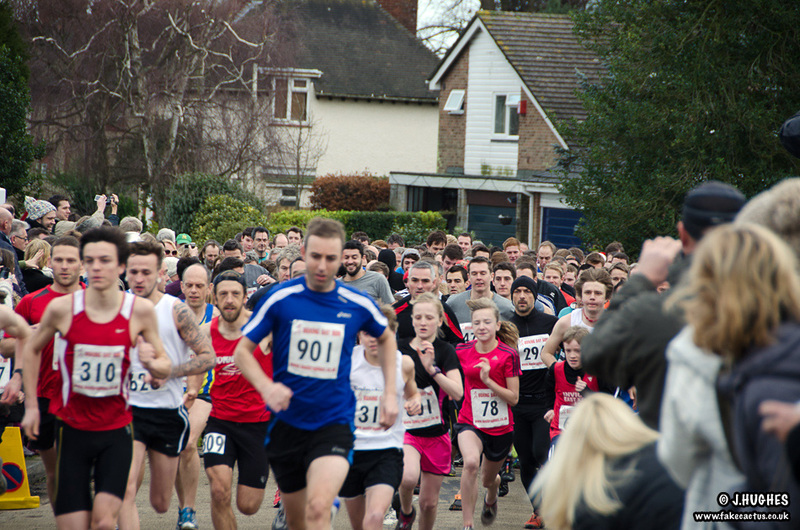 The Saltwood Boxing Day Run has been an annual tradition for going on 40 years now, and while I've only been doing the event for the last six years, it's one I always look forward to running with the rest of my family as part of the annual return to Blighty. Pre-run with the family in the pub. So after a couple of muddy Parkrun warm-up races on the slopes above the Whitstable seafront in the first week of the holidays, it was time to give the Saltwood bog a go. Even in drier years, the cross country course has always had a fair bit of mud to deal with, but this year the bar was raised to a new level of god-awfulness with some of the worst running conditions I've ever raced in. On the start line in the village green I looked down enviously at all the other lads with their spikes on and thought once again that I should really invest in a pair - even if to only use once a year. While the tread on the new Pearl EMotion Trail Racers did as well as I could have hoped for given the conditions, they were no match for the half-inch spikes the more seasoned cross country vets had on. Not that it would have impacted the placings, but what's a Clarkie race report without at least one caveat into why I didn't perform up to Olympic standards. And talking of Olympic standards. If I hear one more thing about the bloody Olympics and how brilliant the British team was, I'm rescinding my citizenship. Don't get me wrong, I think the Olympics were great, but the media over here are still banging on about the event like it finished yesterday. I mean I've even had to sit through an evening finale of 'Strictly Come Dancing' (the UK's version of 'Dancing with the Stars' and a national obsession) which predictably enough was won by some Olympic gymnast who won ... wait for it ... silver in the pommel horse. The pommel horse! This bloke is now a national hero. And what the hell is a pommel horse anyway? 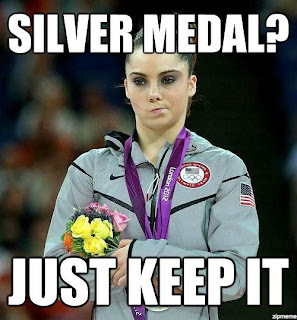 You know what happens to gymnasts in the U.S. who get silver in individual gymnastic events? They get ridiculed. That was a strange tangent. Back to my ramblings about mediocre running performances. So yeah, we started back in the village green again this year, which allowed for a 400 meter section of road to get the race underway. From the off I was engulfed by a crowd of 12 year-old-girls who I had to gently prod to avoid a full-on collision with a car parked just five meters up from the already narrow start. With a bit of breathing room, I settled into seventh or eighth as we made the turn onto the playing fields, already a good bit behind a lead pack of four or five guys, but making up ground on a few of the other overzealous starters. I knew three-time champ Michael Coleman wasn't coming back, but I wasn't so sure about the others. Note the zippy pre-teens to my left. I think I passed one, maybe two guys before making it to the goblin bridge at the end of the playing fields before having to wait for one guy to awkwardly hurdle the fence while a couple of others squeezed around the kissing gate (Dana would tell stories of male dangling parts getting caught on said fence only minutes later). Over the fence, it was then up the steepest hill on the course. Nothing too serious, but certainly enough to get your heart pumping. Up to this point the mud really hadn't been too bad; a bit of slipping and sliding on the descent to the bridge for sure, but nothing out of the ordinary. And even the grass off to the side of the main footpath up the hill was clumpy enough that a running cadence was easy to maintain, so I was able to ease past a couple of guys here, before being re-passed by the slow-fence guy right before the stile. And of course he was as equally slow going over the stile as he was the fence. Cresting the hill, I moved into fourth and then almost lost my shoe in what would be the beginning of a massive bog around the sheep field. Skirting the mud really wasn't an option here, so it was just a case of plowing through - calf deep in places - and hoping for the best. I slogged past the young lad in third as we headed towards the woods and then looked up to see that first and second were off to the races. The race now was clearly for the final podium position, so I settled in and tried to maintain a sustainable effort. Looking back, it appeared that David Weekes - a former winner and something like 20-time top-10 finisher who I'd chatted to on the start line - was the only guy coming with me, so it would be a two horse race through the remainder of the bog. Hitting the wooded section, the trail had enough foliage on the ground that there were sections where a normal running cadence was almost a possibility, and where there wasn't foliage I'd just jump deeper into the brush and take my chances. Nonetheless, there were still long sections of footpath that were just laughably churned with nothing but ankle-deep mud to wade through. David would close on me through these sections as I flailed around, but never quite got close enough to pass. The final half mile to the finish was decently graveled and offered comparatively good traction, so I was able to slot back into a proper running cadence and surprisingly found that I had plenty left in the tank as I came up the last hill. I got a lock on third here before motoring back down into the village to the always packed finish line on the green. I'm still holding out hope that one of these years I'll be able to pull off a win in Saltwood, but for now I'm holding onto a collection of finishes from second through fifth, with an 11th place finish in my first run six years ago. Hanging out at the finish line waiting for the rest of my family, it was fun to see people finishing covered head to toe in mud. And it was even more fun to hear the kids' tall tales of mud holes up to their necks as we headed off to the pub for the conclusion of another memorable Boxing Day in Saltwood. I know what a pommel horse is but WTF is a goblin bridge? Is that something out of the Shire? I dunno, George, I just make this stuff up as I go along! A year capped off by another third place finish...I expect greater things from you in 2013.
well it's all ice and snow in the fort, wouldn't mind a little mud myself! Funny at the memes. 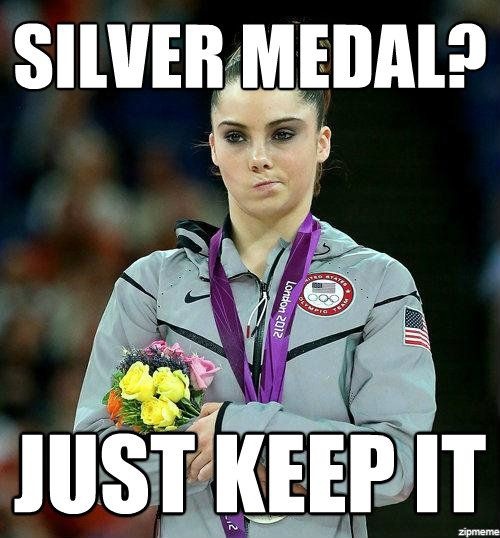 Silver medal just keep it! Love the families who are running together for this event.